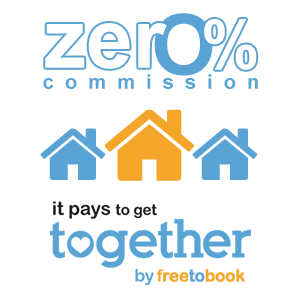 With “together” a new solution by freetobook, properties can can easily co-operate to maximise their bookings. It’s great for associations, tourism groups, destination marketing and anyone else that just wants to get together. You can even use it for an independent chain of properties. All you need is a group of properties that want to work together and we will build a website for your group. We will provide the customised graphics to brand it, we will host it for you and best of all we will provide a professional booking system to generate bookings for your group. We all know it’s easier to stand out and get noticed as group. Getting a bookable website for your group makes perfect sense in terms of marketing and as a long term asset that you can invest in and grow over time. That’s why it pays to get together. Collaboration pays with more bookings. 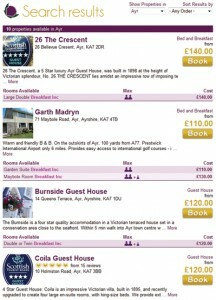 From time to time properties get fully booked, so it makes sense to keep the booking within your group. When one is full the chances are that some of the others have accommodation available. This makes the customer’s life easy and means you don’t lose any bookings – more bookings for the group means more bookings for each member. Nothing wasted, nothing lost – that’s why it pays to get together. 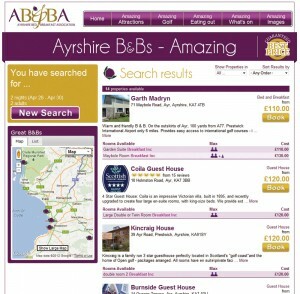 We already have a few examples (check out our blog articles) on Ayrshire Bed and Breakfast Association and Scotland’s Best B and Bs – we welcome more co-operating groups. You know it pays to get together: Find out more and tell us about your group. Contact Iain or Craig by email or phone. Contact details at the bottom of freetobook homepage. Freetobook’s technology enables customers to select from any of the available properties on the group’s website and book them immediately. Thanks to us, Scotland’s Best B&Bs are now open for business throughout the world, 24 hours a day. No potential booking need slip through their fingers just because someone couldn’t answer a phone or reply to an email enquiry. As you can well imagine, a small B&B group like this one doesn’t have enormous resources, so Freetobook’s agency solution is ideal for its members. Set up costs are minimal and bookings are commission-free. Freetobook has several similar group projects under development, helping independent properties harness the power of cutting-edge technology and benefit from strength in numbers. 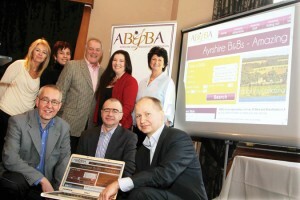 ABBA Case Study : Brochure websites no longer work, your customers want to book online. 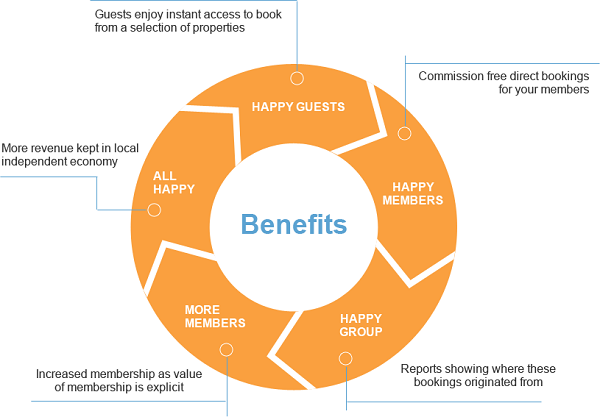 Many websites created by accommodation associations are informative but don’t offer a great user experience because the customer can’t search and book accommodation. It’s frustrating for customers who are used to searching, comparing and booking online. The accommodation sector has been radically transformed in the last 10 years by the internet. Accommodation websites, with their sophisticated booking engines now transact billions of dollars weekly. Customers find these sites easy to use, they provide information, choice and ease of access to accommodation grouped by area. The Online Travel Agents (OTAs) can afford to pay and compete for a strong presence on the search engines by offering a variety of properties, which improve their chances of converting searches into bookings. As online booking becomes more and more the norm, the OTAs continue to grow their influence. 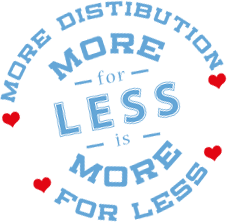 Individual properties cannot compete due to the limitations of their single product offering. Any marketing Association needs a strong internet presence to improve awareness of their area and member properties. It makes sense to capitalise on these grouped marketing resources by offering customers a direct booking channel, cutting out commissions and increasing efficiency. Associations have an inherent advantage on content due to their deep understanding of their customers and how their area attracts and fulfils the needs of these customers. They will also have a good range of accommodation covering various local areas and markets. Finally, it would have been impossible several years ago to access this level of technology as the cost of placing a professional online booking engine on their website would have been prohibitive. Competition in the online market place is fierce so Associations must use all their resources: Create a bookable website to fulfil your visitor’s needs. Direct traffic to the website so it can be converted and monitored. Use the improved marketing power to earn the Association more visibility and credibility locally. There are barriers, some real, some perceptual that can all be overcome. Cost: The cost of sophisticated professional technology is no longer expensive (relative to the past), just look at freetoboook.com, a world class system freely available to the world. This is effectively a marketing exercise (not a technical one) and there are often grants (some involving match funding) that can help reduce the initial set-up cost. Competition within the Association: Many businesses compete on a day-to-day basis so getting agreement from everyone maybe impossible…. at the outset, but this is nothing new to voluntary organisations! Project Management: Set clear objectives and get several quotes all based on the same criteria. Selecting the right company to go with may determine the success or failure of the project. Get the right person in charge from the start, support them and select a strong team to help. They must have executive decision making powers. Updating rates: Not everyone will agree to use or update just one system, don’t try to force it. Find one that’s : effectively free for everyone to access and use and doesn’t require members to use on their own website, simple to set-up and easy to update well supported, so there’s help and encouragement to those who need it. It will take time before the website gets into the internet’s “bloodstream”. You can decide to take it slowly and see what comes from free search or create Pay Per Click (PPC) campaigns. If you opt for PPC, the association can manage it or choose to hire someone to manage it. Associations must utilise all their local membership connections to build links into the website with surrounding businesses. Collaborating and creating local partnerships benefits the area as a whole, increasing the local spend of customers whilst providing you with access to the most relevant and up-to-date content available. As with any project, it must work! Ideally, it will be on time and look impressive. That’s easy to test with friends and local businesses, are they keen to link to you? Are members proud of the site, has it encouraged businesses to join the Association. The process may also bring the members closer together and there should be improved partnerships within the local community. These are the “soft” measures of success but you need hard measures as well: Does the website and system bring in bookings, are your marketing efforts sufficient? How well does the site rank? Remember it takes time and effort to show on key terms. How many visitors is the site getting compared to before? Visitor time on the website should increase, as will page views, monitor this with google analytics. Direct user feedback can be collected by members and fed back in to optimise features. Bookings may generated from any new marketing that directs customers to the site. There are now opportunities for Association websites to really harness the power of their many members, hitherto this has not been the case. My bet is that fortune will favour those who realise their strength lies in co-operation, not isolation.